The Canada Basketball Super Clinic brings together top coaches and technical experts to share their ideas on coaching basketball. The coaching clinic covers all aspects of coaching development and these are some of ideas from the super coaching clinic. Featured coaching clinic speakers this year included NBA coach Jay Triano, 12-time National Championship coach Dave Smart, Canadian Women’s National Team head coach Lisa Thomaidis, Argentina coach Facundo Sebastián Petracci, Basketball Canada coach developer Mike Mackay and former college coach, and current NBA Scout Dave Bollwinkel. 10 Fingers as a Receiver. This sends a strong message to receive the ball without yelling or clapping. “Corner is the corner.” Emphasize spacing in your teaching. The game has evolved to expand the game away from the three-point line. For example, the 76ers have a four-point line in practice. Use a post reaction action. For example, on a post entry run a splits action. Even though do not tend to score off post play because it is low points per possession, there is value to run actions to score out of a post entry. The paint touch triggers the splits action. To defend great scorers like Harden/Westbrook, the big on defense goes straight to rim because the scorer can create contact and get around big. People Around the Program – Strength comes from diversity of staff which includes IST (Integrated support team). Style of Play – Maximize strengths and minimize weaknesses. They used a modified Princeton offense until 2016, and then started to play with more pace (transition game, full-court ball pressure, and more calculated risks on defense) . Male Training Partners – They impact the training environment and immerse into team culture. For example, they include them in breakdown, small group drills, etc. Shot Quality – An emphasis on taking good shots. 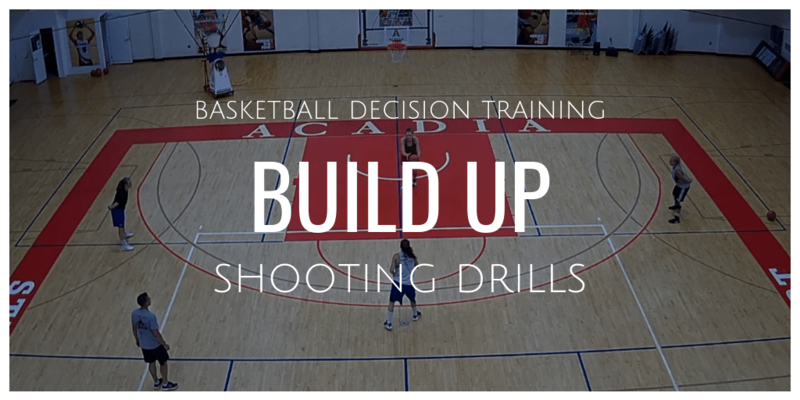 Track every shot in practices and games to keep players accountable. Advantage of Identity – Canada women’s basketball identity is toughness and grit. Part of this identity is offensive rebounding. The offensive rebounding plan is to send two players to the glass, and to try for three to the glass. Have to prepare for the storms. Create mini-storms to be able to perform. Social-Emotional. Are we in forming, norming or storming? Rule of 3 – 3 things to remember. Rule of 10 – 10 mins max per activity. Rule of 20/30 – 30 seconds to get player into activity. Scarf Game – Each player has scarf and ball, call teammate’s name and throw scarf; must catch scarf while dribbling ball before it hits the ground. Wall Dribbling – Dribble ball off wall with one hand. Scarf Game #2 – No talking allowed, can only point. Scarf Game #3 – Communicate without pointing and talking; after you catch a scarf go score a basket. Weave Top: Three players weave at top, coach calls position on floor, and three players match up to position on defense. Keep away with imaginary ball. Ball Tag/Hunters: Play with imaginary ball. Pass to coach, play grab and go. Can set certain situations: offense must start double gap away. Feeling of being part of something bigger. Internal desire of getting better. Work with team and individual. Communication is the 6th defender. Competition is a learning tool. Some things you do with different perspective. Know the right button to push for each player. Learn to see the PLUS in uncommon things. PLUS: Small details that need to be recognized (Deflections, weak side rotation). Defender (X1) starts with ball on ballside lane line baseline, offensive player (O1) without ball on ballside wing, coach at top (C1) and coach at weak side wing (C2). X1 passes to O1 and closes out, plays 1-on-1 to baseline. O1 passes ball out to C1, C1 passes to C2, X1 to help position, O1 returns to original wing. C2 drives to key, X1 takes charge. C2 passes to C1, C1 passes to O1, O1 and X1 play 1-on-1 to basket. Any team can rebound and put back immediately. Can score immediately after score. Two teams on each side of the center circle on the halfcourt line. First player in line has a ball. First player to score on their side wins. Does not have to be a layup. Start the offense and defense in the centre circle. On the coach’s go, offense attacks a basket. No fakes allowed. Also, start it with each player with both hands on the ball to start. Full-court 1-on-1 – Game continues until someone scores. Can play with 5 spots or 7 spots around the perimeter/three-point line. 10 made shots from two-point spots. 5 made shots from three-point spots. Follow with 5 free throws. End with half-court shot or free throw with bounce. Can also play 3 and 2 (3 shots made from two-point spots and 2 shots made from three-point spots). You can make mistakes if they know you are HONEST and you CARE. Must be yourself. This is the only way to build trust and a sustainable culture. Dealing with problems. Listen to what they are saying and to their body language. They will tell you what you want to hear. Make them earn it. Not getting something for nothing. Try to get everyone into smart and talented group 2, and, not that smart or talented group 3. We are not cutting our best one or two players, but, after that you better have a great attitude to be on the team. Go through all film. Chart every way you score (inbound, transition, free throws, turnovers off defense, offensive rebounding), and chart every way you are scored on. He calls inbound situations the “kicking game” (football term). ROI (Return On Investment): Break it down, study it and find out if what you are working on is bringing you a ROI. Zero in on your identity. What is important to you? You cannot teach everything. If you teach in practice you don’t have to coach as much in games. Subs – Pay respect to your teammate. Assistants – Should be like a 3 man ref crew during practice in regards to positioning. Innate ability of your players. Team A runs offense but cannot score, Team B on defense. Blow whistle – offense and defense change. Team A must cover someone different on Team B.